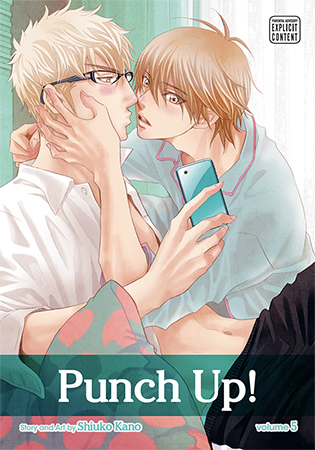 Punch Up! Vol. 1 - SuBLime Manga: Online Manga. Architect Motoharu Maki is hanging out at the construction site ogling a particular hunky, well-toned construction worker when he is unexpectedly reunited with his lost cat, Shinobu. The reunion is all thanks to Kouta Ohki, a foul-mouthed young ironworker who found and cared for the lost cat. Unfortunately for Kouta, this act of kindness led to his eviction! 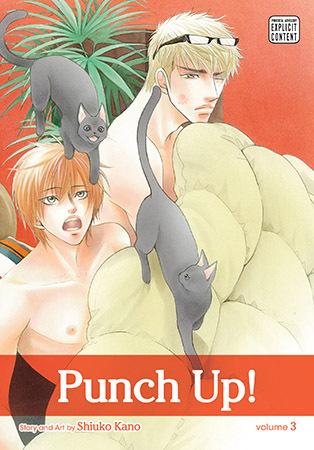 When Motoharu agrees to take in young Kouta, will he be able to tame this feisty stray? Includes a bonus Play Boy Blues side story. Architect Motoharu Maki is thoroughly enjoying life with his new roommate, ironworker Kouta Ohki. Although he’s young, Kouta is responsible and sees to the chores Motoharu tends to forget. Their nightlife together is full of new, wonderful discoveries too! 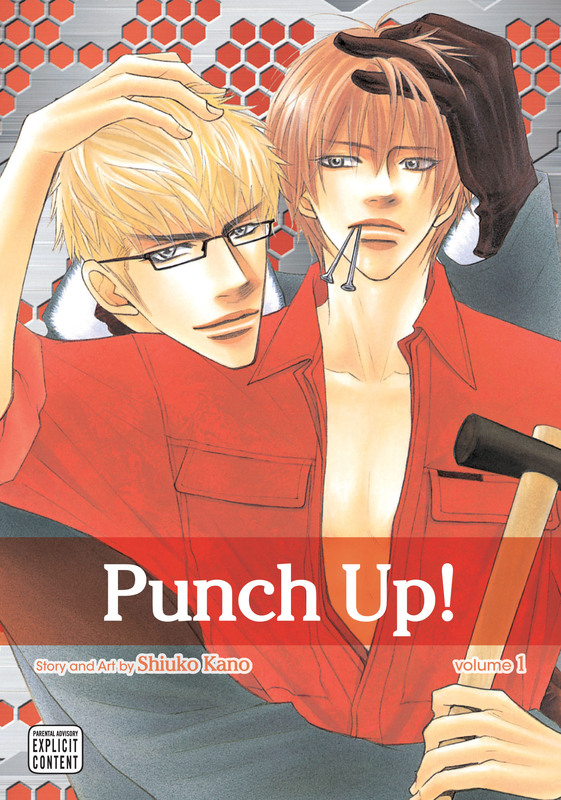 Things seem perfect for the new couple until Kouta's old crush shows up and Motoharu finds himself grappling with feelings of jealousy for the first time in his life. Includes bonus comic strips, along with the side story "Honeymoon."